Knew you'd get in to Europe ready for the new season, it will definitely test your squad with those extra games dependant on how far you go obviously. I know you may get this question a lot but how do you upload pics in to stories. 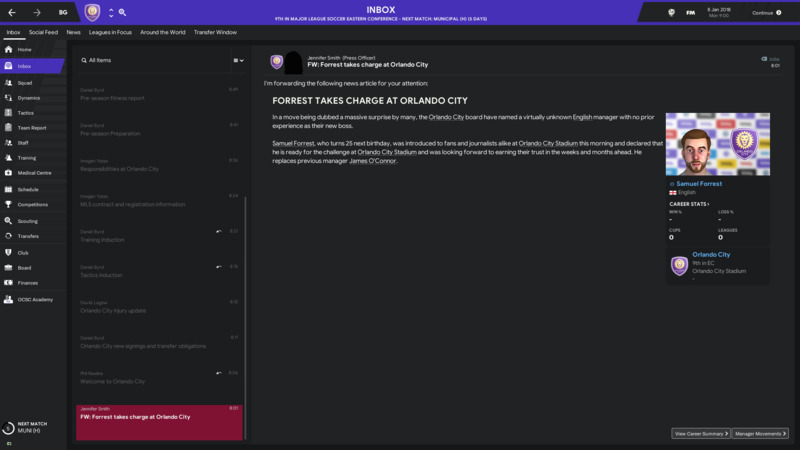 Forrest takes over Orlando CIty SC from Jason Kreis after a poor finish by The Lions coming in 18th place overall in the Supporters Shield last season. Orlando are heading in to the 2018 season without their star man Kaka who declined his option to stay with the Eastern Conference side. 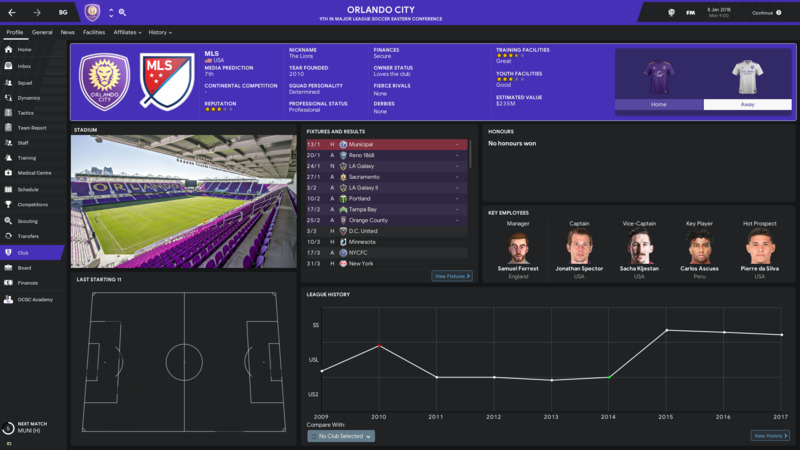 After talking to the new man in charge, this is what he had to say "It is an honor to be given such an opportunity to manage a club like Orlando. I come in to a club who didn't finish well last season, so my first aim is to build a solid foundation in and around the squad I can build upon before we try and challenge further up the table and on the playoffs, a feat this club has never achieved."